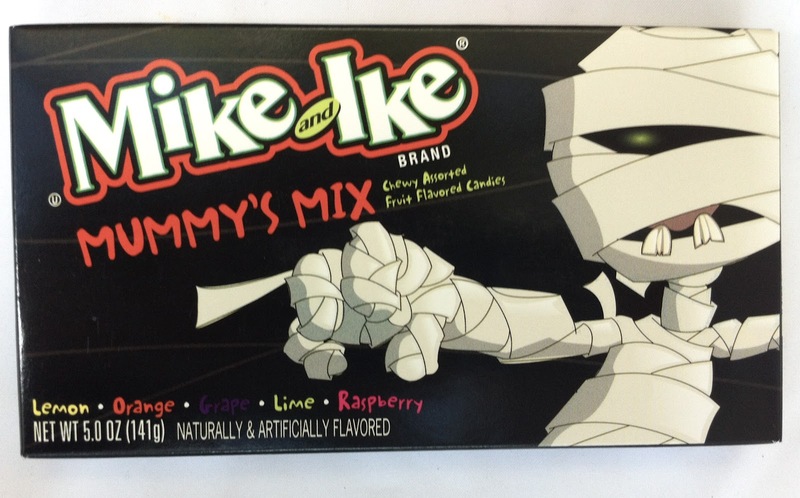 The packaging for the Halloween edition of Mike and Ike Mummy's Mix is certainly festive. The mummy pictured on the black box perfectly straddles the line between cute and spooky. 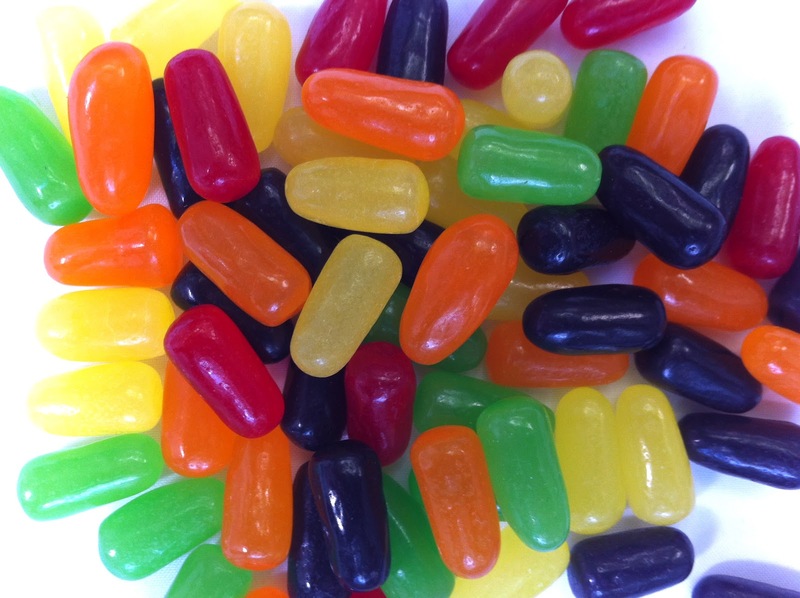 The seasonal mix also offers a variation on the classic flavors. Whereas classic Mike & Ikes come in an array of Orange, Lime, Lemon, Cherry, and Strawberry, the Mummy Mix features Orange, Lime, Lemon, Grape, and Raspberry. Honestly, there's not a lot of difference between the Raspberry and Cherry flavors. The raspberry hosts more of a neutral berry flavor that tastes about half-way between Cherry and Strawberry. I like how the Grape candies mix in, though- a strong addition to the blend. Good for Just Born for not just changing the packaging but also the flavor profile in honor of the candy holiday!